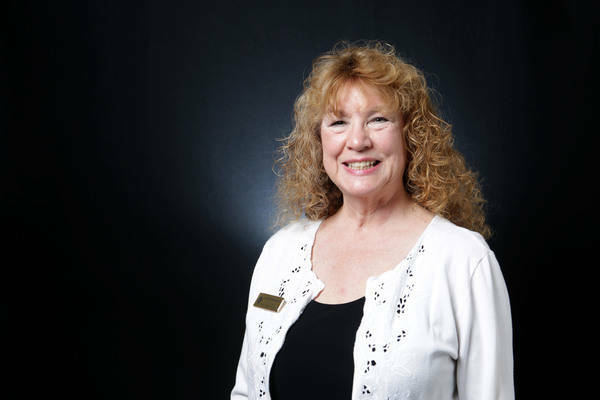 Clark County clerk and Boulder City resident Lynn Goya was arrested late last year on suspicion of a DUI and charged with reckless driving, according to Boulder City Police Department and municipal court records. File Clark County Clerk Lynn Marie Goya was arrested on suspicion of DUI in December. She is a Democrat and running for re-election. According to the police report, obtained by the Boulder City Review, Goya was arrested Dec. 9 on suspicion of driving under the influence of alcohol and failure to maintain travel lane. A blood test showed that her blood alcohol level was 0.116, and Nevada’s legal limit to drive is 0.08. Goya, a Democrat, is running for re-election. According to the police report, officer Tonja Toumasis was dispatched to investigate a report of a reckless driver on Utah Street, and officer Peter Wheeler came to assist. At 11:34 p.m., Wheeler saw the vehicle stop in the road before continuing, so he initiated a traffic stop. As the vehicle was pulling onto Park Street, with Wheeler behind it flashing his red-and-blue lights, Toumasis said she saw it drive onto the curb and back down before stopping on Park Street. Toumasis said Goya had “partially closed eyes” when she spoke to her. She also had alcohol on her breath and an unsteady gait when she walked, Toumasis said. When asked whether she had drunk anything alcoholic that night, Goya said she’d had one cocktail around 5:30 p.m. at Red Rock Resort. She would not give any information about the size or type of drink. Goya refused field sobriety tests when asked by Toumasis, had to lean against her for support when she was being walked to a police vehicle for transport and stumbled as she sat down. She also told Toumasis she did not understand what she was saying when she read her the Nevada Implied Consent twice, word for word. Toumasis said she arrested Goya for driving under the influence of alcohol and failure to maintain the travel lane because she had seen her in physical control of the vehicle, had driven up on the curb, smelled like alcohol, her eyes were watery and bloodshot, and she had an unsteady gait. After her arrest, Goya was booked into the Henderson Detention Center. Recently, Goya blamed her deficiencies behind the wheel in December on being tired and unable to use her right hand to drive because of a recent surgery. “I learned my lesson that even one drink is too much, and it won’t happen again,” she said. On Jan. 10, a criminal complaint was filed in Boulder City Municipal Court. Goya attorney Greg Knapp negotiated a plea with Assistant City Attorney Gary Booker on Feb. 6 in which Goya’s DUI would be submitted on the record and she would have to pay a $1,240 fine, attend DUI school, attend a victim impact panel and attend four sessions of Alcoholics Anonymous within two weeks. She would have to go to two meetings per week. If she fulfilled those obligations, the charges would be reduced to reckless driving and a zero-point parking violation. 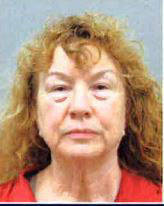 According to court records, she completed DUI school and the victim impact panel by Feb. 12 and the AA meetings Feb. 20. The charges were amended to reckless driving with disregard of safety of person or property. Goya was elected Clark County clerk in 2014. She said she hopes her constituents will look past the arrest and judge her on the job she’s done in office. Las Vegas Review-Journal reporter Michael Scott Davidson contributed to this story.